Getting Ready for Fiddler on the Roof Jr.! 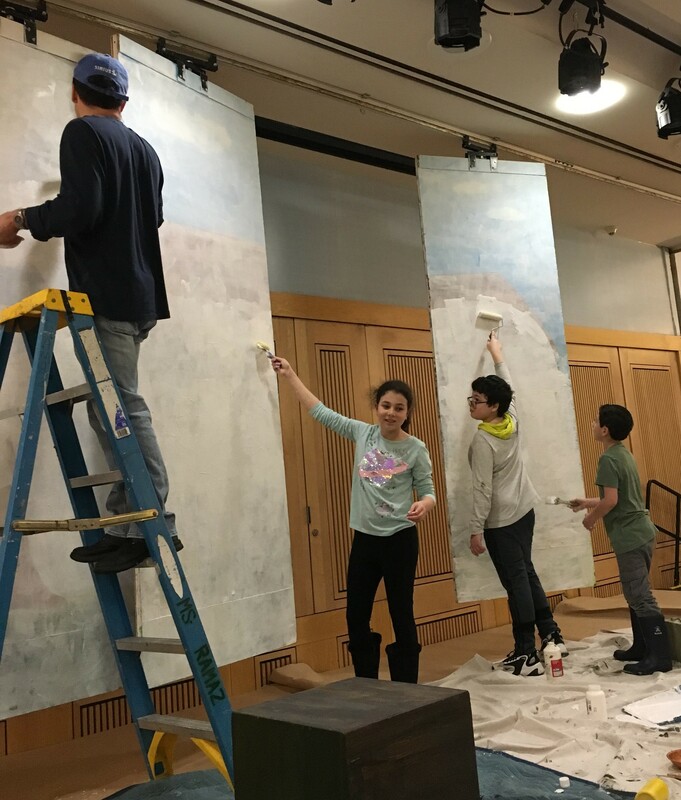 Save April 16 for the Middle School performance of Fiddler on the Roof Jr. Students participated in a character development workshop last week and have weekly rehearsals. Cast members and their families came together on Sunday to prepare the technical aspects and enjoyed painting sets, trying on costumes, and gathering props. Special thanks to our parent volunteers for helping to make the afternoon safe, fun, and educational for our students.